Should I stay in my family city? Today I have many thoughts running through my head as this is a real crossroads in my life. Having just returned from South Korea I really have many paths and roads which I can take, many unanswered questions, with also many hopes, fears an anxieties. My first card is the Four of Cups, (I generally work on my intuition then i incorporate other peoples interpretations of the card). 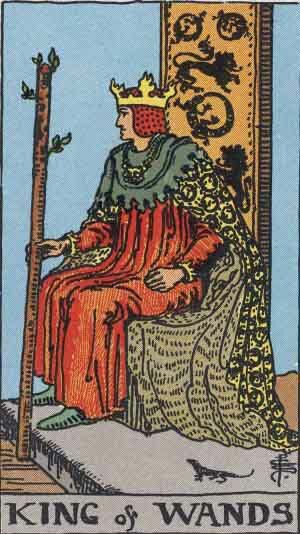 This card to be represents lack of motivation, closed off to others helping hands, maybe even sulking. I can relate this to my life right now as I feel dengerigised, and especially negative. Now i am job searching and I feel helpless some days. Just watching the news about many other millions of people looking for work does make me feel like I am in a black hole. Card 2: What actions can I take? 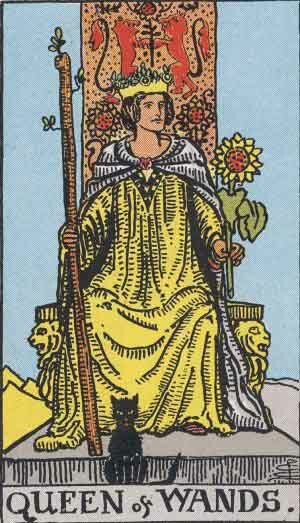 The Queen of Wands to me is an inspiration card. The queen sits with silent faith in her abilities. She has the warm of the sun and holds the ability for natural growth (sunflowers). This gives me the inspiration to accomplish what I want in my mind no matter where I am as long as I have faith in my self. This is interesting, my obstacles and challenges card is the married pair of my actions card. To me this means that to over come my challenges I must have true faith in myself, be forceful in my actions and balance the masculine and feminine qualities of the wands . This does make sense to me as i tend to be my own downfall, I always give in and let my over polite self lose out because of my more shy and timid nature. I always see the world as one of the most positive cards, and this card always makes me smile. She represents the relaxation and pleasures in life which should be taken, the use of gifts which we have been given. An obvious message that we have the whole world in our grasp if we just stop and appreciate it. For an outcome card this makes me very happy. If i take the energy, faith with bold force I can achieve this positive state. Card 5: The effects upon me. The three of cups, and what a merry and joyful card this is. The choice of staying in my family city may lead to three cheers, the immersion into community spirit and the welcoming of new friends. This is a highly spirited card which to me represents a party.So it looks like a positive outcome all round and I will keep you posted on what does happen.